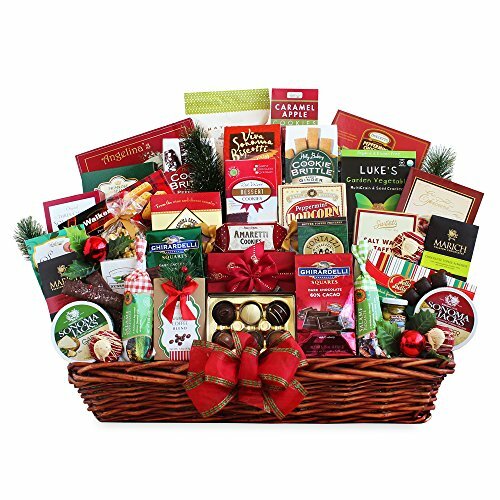 Santa's bag is filled the moment this grand basket of gourmet goodies get placed inside it. Your gift recipient will be overwhelmed, as the incredible impression this gift delivers is unmistakable. So many great tastes, there's plenty for a whole group, family, or office to enjoy. Just short of a pair of skates and a new bike, you'll find just a bout every kind of great gourmet food in this one-of-a-kind holiday gift. Happy Holidays! If you have any questions about this product by California Delicious, contact us by completing and submitting the form below. If you are looking for a specif part number, please include it with your message.